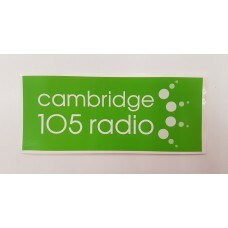 Cambridge 105 Radio bumper sticker, approx. 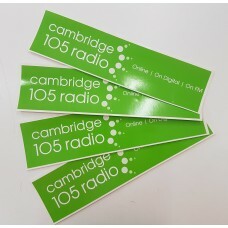 10" by 2.5" (25.4cm by 6.35cm).UV stable and suitable fo..
90mm dia. 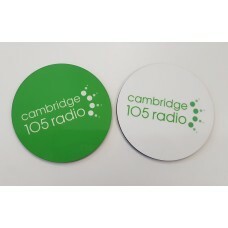 solid coaster in your choice of the white or green or green on white version of the Cambri..
Cambridge 105 Radio sticker, approx. 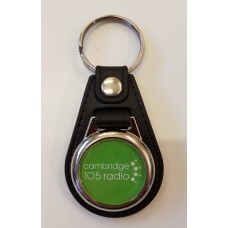 UV stable and suitable for indoors or outdoors use with a ..
A simple and practical way to show your support for Cambridge 105 Radio with this elegant fob keyrin.. 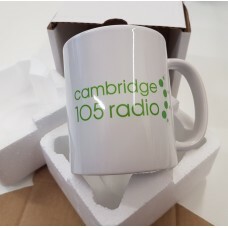 Fully dishwasher safe 11oz 'Durham' style mug to show your support of Cambridge 105 Radio.They have .. 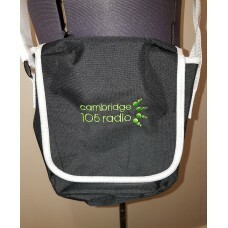 Features:Adjustable shoulder strapZippered rear pocketRip-strip™ closureDimensions: 23 x 17 x 7cmCap..
Cambridge 105 Radio sticker, approx. 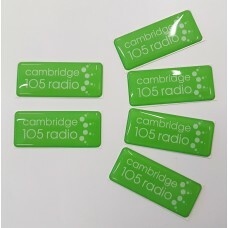 6" by 2.5" (15.25cm by 6.35cm).UV stable and suitable for indoo.. 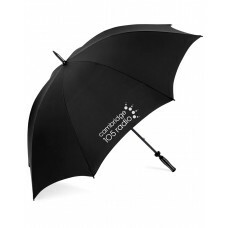 Shelter from the rain with the Cambridge 105 Radio umbrella.Features:Windproof frame and shaftAnti-l..